It’s safe to say that many cinema purists would not stand for a remake of The Wizard of Oz (1939) – unless, of course, the remake in question is The Wiz (1978). Yes, it’s the same old stuff with Dorothy, a brainless scarecrow, a cowardly lion and a heartless tin man, travelling along a yellow brick road to find the mysterious wizard who may grant their wishes… only it isn’t the same old stuff at all! The Wiz is a reworking of The Wizard of Oz as a Motown musical (inspired by the Broadway stage show.) We have Motown legends Diana Ross as Dorothy and Michael Jackson as Scarecrow. It should go without saying that the music in this musical is rather enjoyable (as you would hope!) and that alone makes the film worthy of a trip to the cinema. 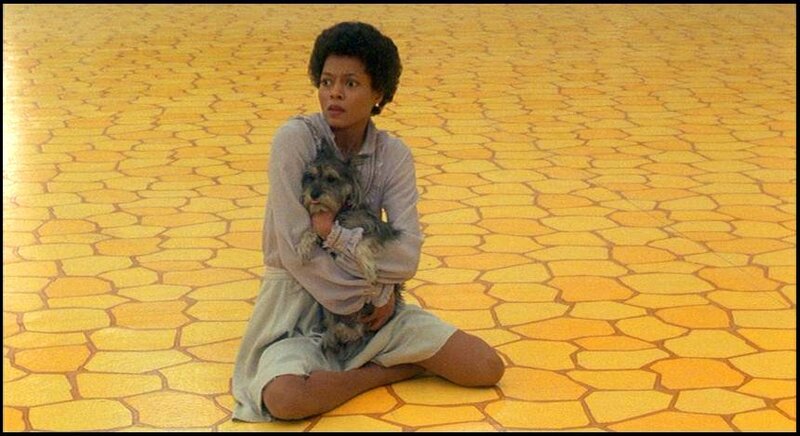 However, there is much more to The Wiz than just its soundtrack. Directed by Sidney Lumet, The Wiz features wonderful costumes and production design that is even more spectacular that the 1939 incarnation of the Oz fable. One of my favourite aspects of The Wiz is the way that the Land of Oz somewhat resembles New York City – complete with yellow taxicabs and a subway! 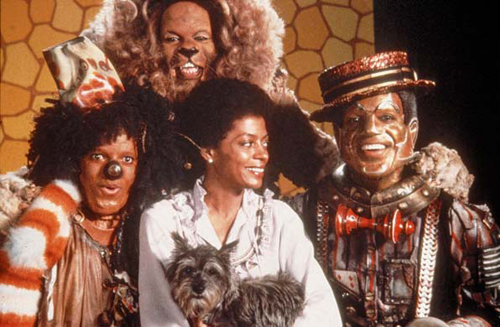 The cast, including Nipsey Russell (Tinman), Ted Ross (Lion), Lena Horne (Glinda the Good) and Richard Pryor as The Wiz, are great fun to behold. And ever since I was a child, the highlight song ‘Ease On Down The Road’ has remained firmly stored in my memory. An ideal follow-up for Xanadu (1980), The Wiz is a fantasy escapist musical that demands to be experienced on the largest screen available. And for perhaps the most thorough online review of the film, complete with many awesome facts about the film, please visit Ken Anderson at Le Cinema Dreams, one of the finest film review sites you could ever hope to read and a favourite of mine. The Wiz screens in a double feature with Xanadu Saturday April 12th 7.30pm.